October 18, 1916 -- The South Park Board at its monthly meeting agrees to offer a site in Grant Park on which an aquarium can be built. It is estimated that the “greatest public aquarium in the country” [Chicago Daily Tribune, October 19, 1916] will cost approximately $250,000, of which Julius Rosenwald, the head of Sears, Roebuck and Company, has agreed to contribute $100,000. The head of the Chicago Aquarium Society, Seth Lindahl, says, “It is now only a question of means to the end.” It will be awhile before that end is reached. 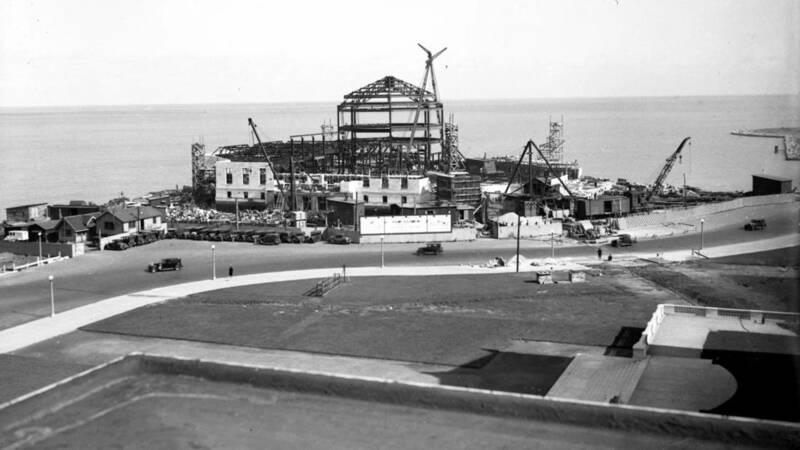 The aquarium does not open until May of 1930 and the costs of construction eventually rise to over $3,000,000. The above photo shows the aquarium taking shape in 1928. October 18, 1977 -- “By Gawd. They do clear it off, don’t they . . .” That was the reaction of a British reporter covering the visit of His Royal Highness, Charles, the Prince of Wales to Chicago as official vehicles carrying the Prince, his entourage, Mayor Michael Bilandic and Governor James Thompson scream down the Kennedy expressway “leaving an increasing snarl beyond the cement red carpet.” [Chicago Tribune, October 19, 1977] The Medinah Highlanders bagpipe and drum corps, playing Scotland the Brave, meet the Prince as he emerges from his British airways jet at 4:23 p.m. Eighteen minutes later the Prince is at the Drake Hotel “genuinely glad to be in Chicago and willing to display his well-publicized wit.” Later in the evening the heir to the British throne enjoys a private dinner hosted by British consul-general in Chicago, John Heath, and his wife. 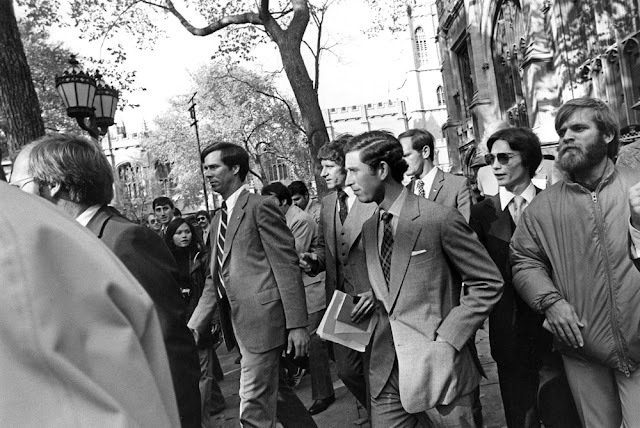 A full day’s schedule is set for the following day with a tour of Chicago’s Loop, a walk through the Art Institute, and a luncheon at the University of Chicago scheduled before a dinner at the Palmer House at which the Prince will be made a citizen of Chicago. The above photo shows His Royal Highness at the University of Chicago the day after his arrival.